The Science Behind Sleepwalking: Who Does It Affect… and How? I once had a sleepover with my pals at my friend’s house. As is the case with all sleepovers, it was less about sleep and more about other activities. After all the partying and such, everyone eventually went to sleep. In the middle of the night, however, I woke up at the sound of my friend opening a door to the kitchen. I called out to him, but he didn’t respond. I followed him to find out what he was up to, and I found him beginning to wash the dishes in the middle of the night. I tried to ask him why he was doing it, but he didn’t seem to hear me. The next morning, I asked him whether he remembered anything about washing the dishes, but to my surprise, he had no idea what he had been doing; in fact, he had no idea that he had even been sleepwalking. Wait a minute, now… This peculiar practice is not always good news for sleepwalkers; there have been reports of sleepwalkers driving cars in their sleep and getting in some truly nasty accidents. The question is, how does the strange phenomenon of sleepwalking work? People are able to drive, take their pets for a walk, or just stand around and do random things in their sleep… but how? 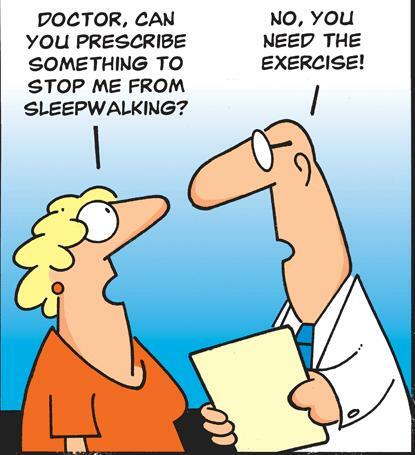 The scientific name for sleepwalking is somnambulism. It is much more common in children; it is said that sleepwalking affects 1 in 10 children, while only affecting approximately 1 in 50 adults. Sleep can be divided into 5 stages that cycle over the course of the night. The first four stages are divided into light sleep and consolidated sleep, followed by two stages of slow sleep periods, all of which fall within the non-rapid eye movement (NREM) phase. 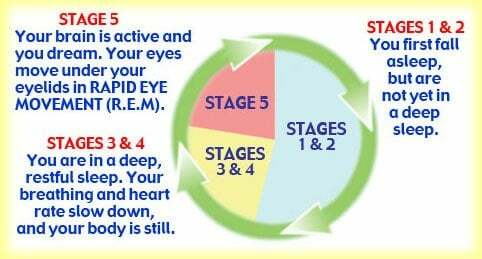 The fifth stage of sleep is the rapid eye movement (REM) phase. We are only able to dream in REM sleep, and during this stage, the brain’s neuronal activity is most similar to being awake. Paradoxically, physical activity only occurs during the NREM cycle of sleep, which precedes the dreaming state of REM sleep. Sleepwalking typically occurs during the deepest stages of NREM phase, once the body has fallen into a semi-conscious state. Why sleepwalking occurs is still not clear to scientists, but they do believe that it has to do something with the functioning of Gamma-Aminobutyric acid (GABA). 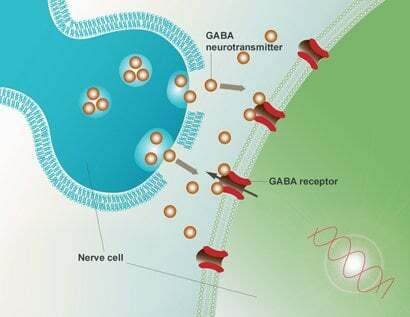 GABA is an amino acid that acts as a neurotransmitter in the central nervous system. GABA acts as an inhibitor that stifles the activity of the brain’s motor system; therefore, the proper functioning of GABA allows you to achieve normal sleep, as it regulates muscle movement during sleep. In children, the neurons that release GABA are still developing and have not yet fully established a network of connections to keep motor activity under control. As a result of this insufficient amount of GABA, children tend to sleepwalk, as their motor neurons are capable of commanding the body to move even while sleeping. In some adults, GABA can remain underdeveloped or be rendered less effective due to environmental factors; this is why sleepwalking can persist even into adulthood. If you’re a sleepwalker, then chances are that the habit was passed down to you by your family. 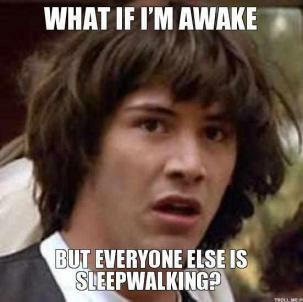 Studies have shown that if one parent is a sleepwalker, then their child has a 45% chance of becoming a sleepwalker. If both parents are sleepwalkers, the child’s chances of sleepwalking jump up to 60%. In short, sleepwalking runs in the family, so just like all of your other problems, you can blame this one on your parents too! Ashwin Vinod has a B.Tech in Electronics and Communications from APJ Abdul Kalam Technological University, Trivandrum (India). He likes to watch movies, reading fiction novels and surf the internet.